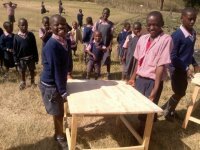 New furniture and Part 1 of our school link project based on the Ngara Crosses project - sorry this is a long newsletter but mostly pictures! 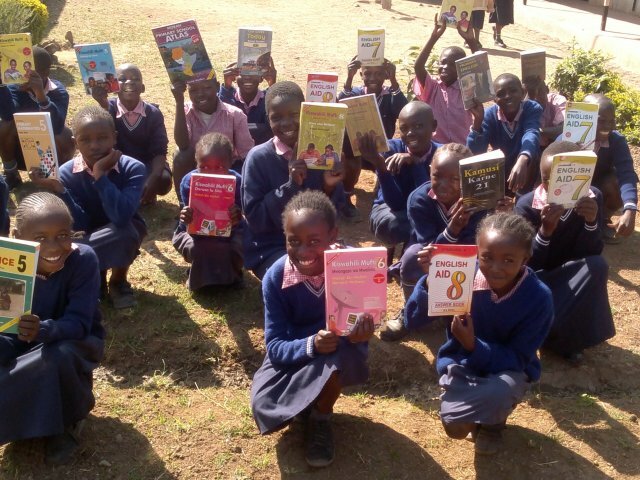 Thanks to a donation from a church in America that one of our supporters attends we have been able to replace and add to the school's stock, particularly in terms of furniture and text books. 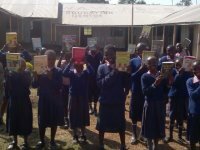 The staff, at the school in Kenya, worked with the children , talking about the cross and it’s importance as a Christian symbol. 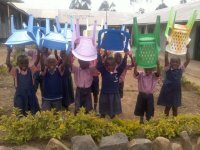 They showed the children the pictures which are in the Ngara Crosses pack. 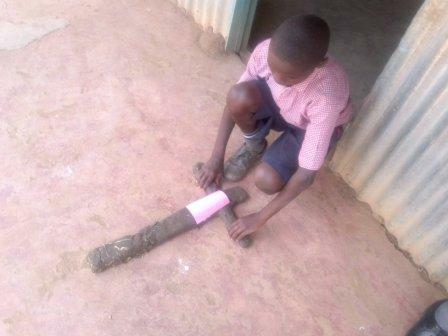 The children were encouraged to investigate their environment and select materials that they could use in making their cross. 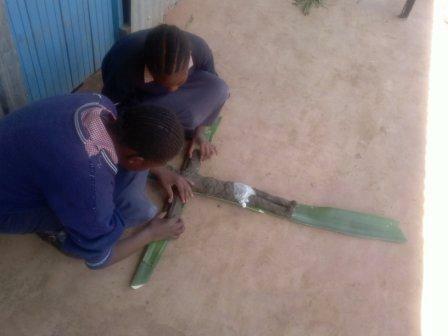 They were asked to create and give a short explanation of their cross. 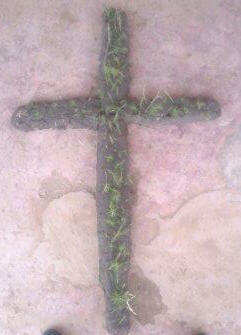 "We have used green twigs that are shaggy to represent the disobedience that Jesus died for on the cross to cleanse humanity." 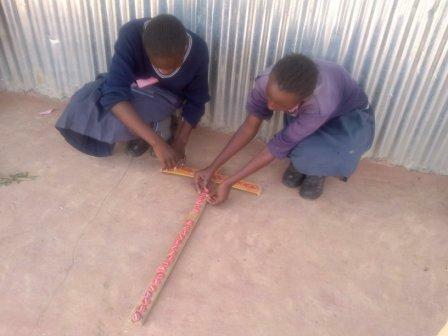 "We have collected wood and bottle tops red in colour to make a cross.  Red colour represent the blood of Jesus that was meant to wash our sins." 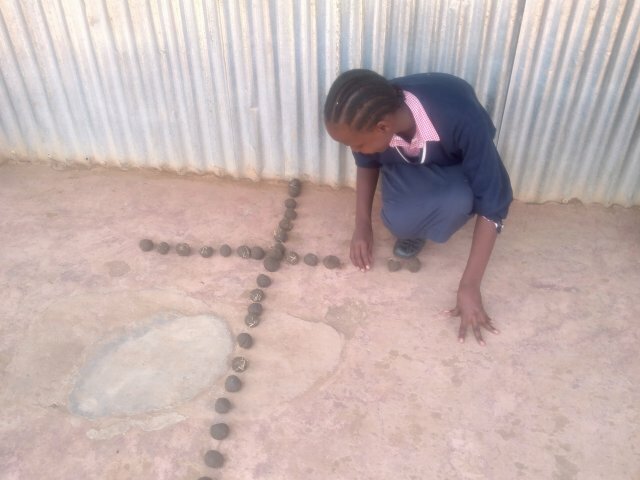 "I have made a cross using round clay balls to represent Jesus as creator of the universe." 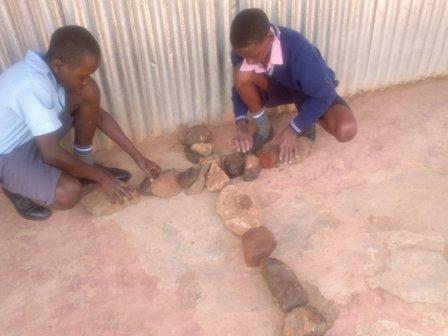 "We have made a cross using stones meaning being firm and righteous as was Jesus Christ." We also have images taken by the children at one of the link schools in Coventry, All Saints CofE Primary and will share them in due course. It's quick. It's easy! 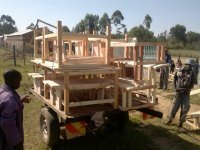 Amounts of £1, £2, £3, £4, £5 or £10 can be donated this way - please try it, even if only with a £1 donation. 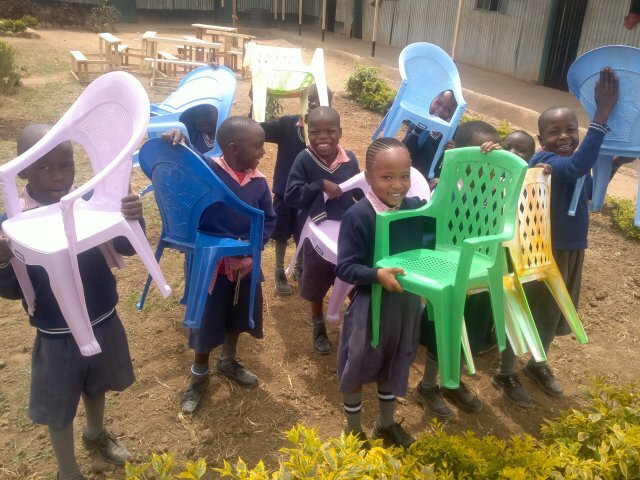 £1 would pay for week's meals for a child. 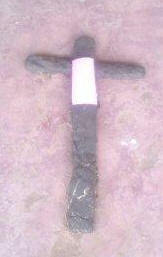 "I have made a cross with black clay soil and yellow manila paper to represent hope and resurrection of Jesus Christ." 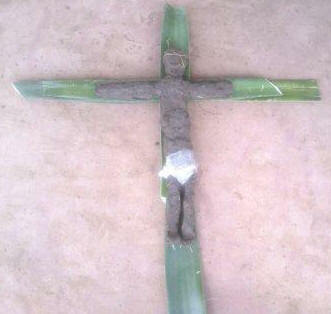 sisal to show the purity of Jesus and our sins he died for." 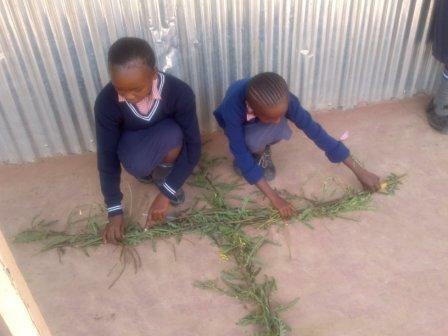 "We have made our cross using Fresh Napier leaves. 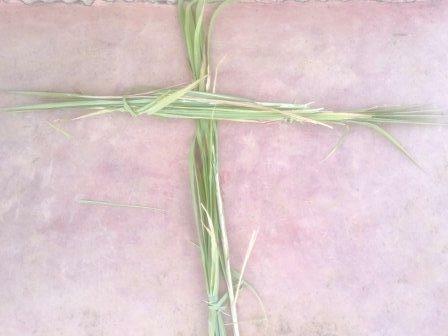 (Elephant grass) We have gathered these and made the cross to symbolise the purity that we need in our daily lives through the death of Jesus on the cross."